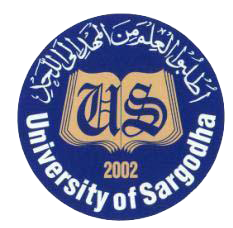 Sargodha, University of Sargodhahas already conducted UoS M.Com part I & II first annual exams 2018. The exams department of Sargodha University has declared the UoS M.Com Annual Exams Result 2019 and the candidates can download their Sargodha University M.Com annual exams result 2019 with the complete updates of marks and position of the students. The students are asked to visit this page and they will get their UoS M.Com result 2019 annual exams soon after announcement of result. You Can Get UOS Result Here.